The Virginia au pairs had a wonderful day enjoying the outdoors. 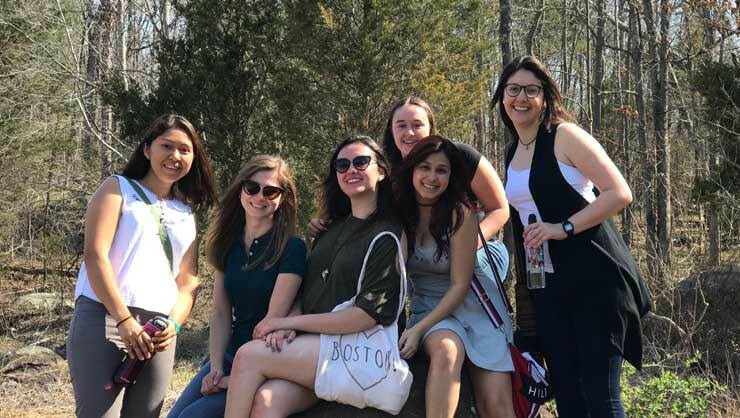 InterExchange au pairs in Virginia met up this month for a hike followed by an Easter Egg hunt to usher in spring. While it’s been a chilly start to the season, the au pairs from over seven countries loved exploring their local landscape and simply reconnecting with one another. I love our cluster meetings for many reasons. The first thing is a wonderful spirit. I really can’t wait to see the other au pairs from our cluster, because they’re like a family to me. Our cluster events are really fun! We always have a part when we can talk to our amazing coordinator Dani. The second part is always an awesome activity. Last Saturday I enjoyed the egg hunt, but my favorite part was talking to my friends since I live far away from them. Thank you, Dani, for our wonderful cluster. 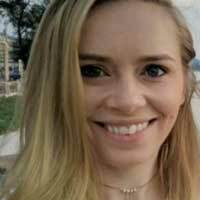 Au pair Olha from Ukraine also enjoyed reconnecting with the other girls. Saturday was a nice day and a nice cluster meeting. I am always glad to meet Dani and the girls. Hiking was a really cool idea and I liked the reservoir the most. It is such a marvelous landscape. And, of course, have to mention the Easter eggs hunting. Thank you very much for the candies! Local Coordinator Dani always enjoys her monthly events. She gave us some insight into why these meetups are so important for au pairs. I think cluster events are an important time for the girls to bond over their common experience and to speak freely about everything in a safe place. It’s a great opportunity to bring up issues and speak to all of them about solutions for these issues. It’s a learning experience for all of the au pairs. And it's essential for them to know they are part of a group here who cares about them too. Thanks for sharing with us, Local Coordinator Dani and au pairs!